Week three and work continues. 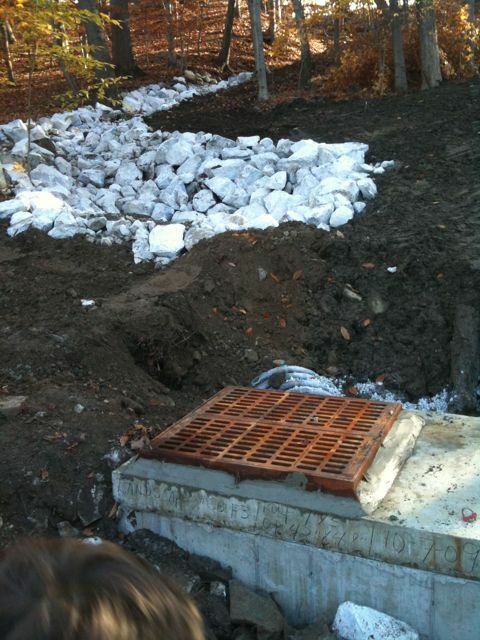 Check dams on the east side of the street (uphill) and work on new catchbasins. Soon the pipes will go in under the upper parking lot along with new catchbasins. Last thing to go underground will be the large separator under the lower parking lot.